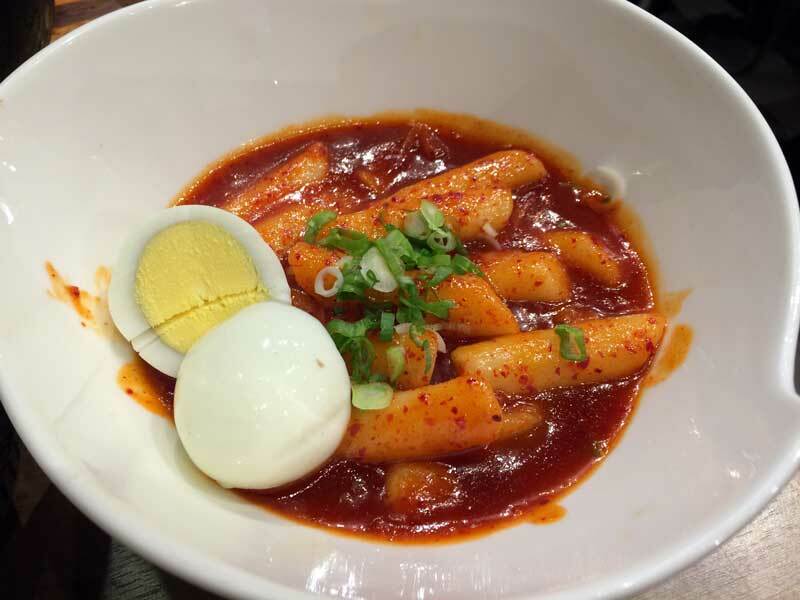 It amazes me how hundreds of millions of people can eat something so delicious one to two times per day, and the rest of the world not know about it. Dosas are a South Indian breakfast and dinner dish that I have absolutely fallen in love with. So what is it? A dosa is a large, thin pancake made from dough of rice and lentil flour that is left to ferment overnight. The next day, the loving Indian chef (read: roadside magician) ladles the batter on a huge, oiled flat cooking surface and flattens it out with a spiral spin with the bottom of the ladle. He then pours a little oil on top and lets it set. Right as it finishes he scrapes it up and then either rolls it up into a huge tube, folds it into a triangle, or unceremoniously flops it down. Dosas are traditionally either served on metal trays cut into one large section (for the dosa), and several smaller compartments (more on this soon), or it's served on a big banana leaf. 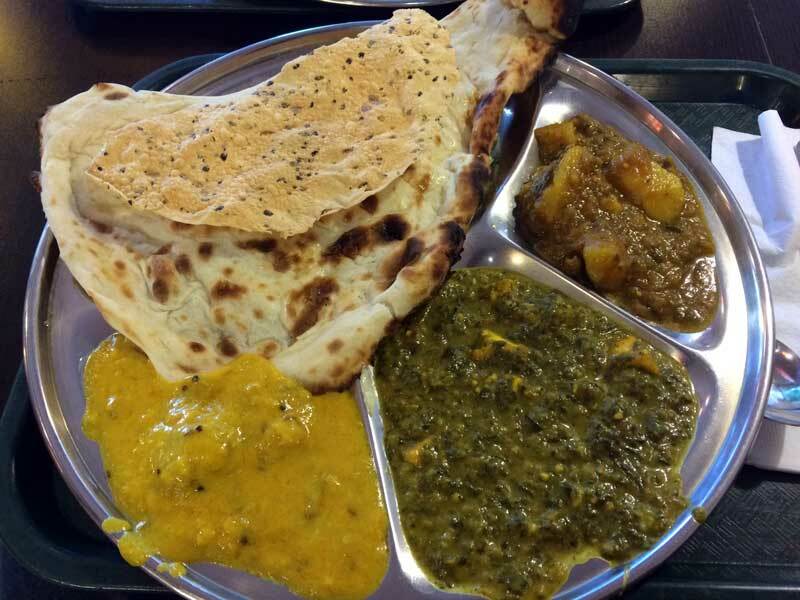 Those smaller sections are often filled with several kinds of curries and chutneys, such as coconut chutney, chili chutney, peanut chutney, mint chutney, or a dhaal (soupy lentil curry). 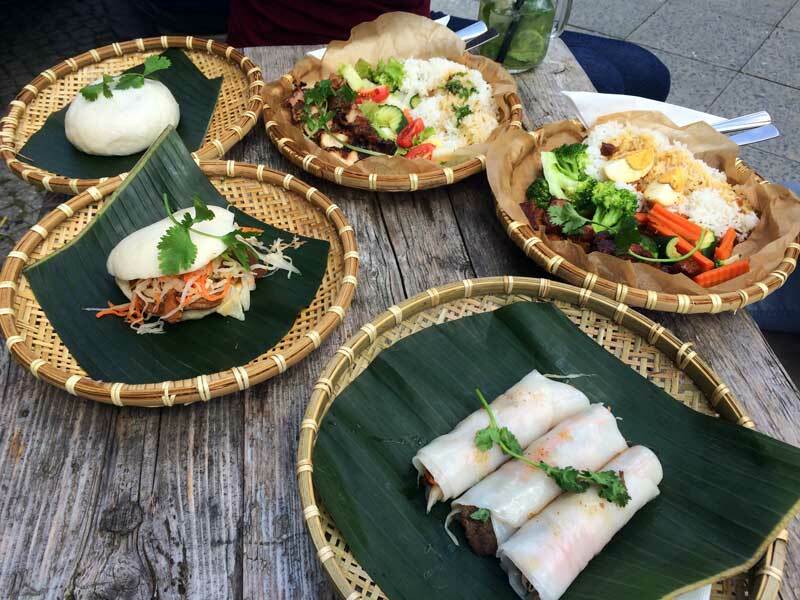 Or you may have vessels on your table that you can ladle out as much of the chutneys as you like all over your plate, banana leaf, or even the dosa itself. You eat dosas with your hands, as you do all other Indian food. Indian people reserve the right hand for eating, and the left hand for dirty work, so learn to master the technique of tearing the dosa apart with one hand. 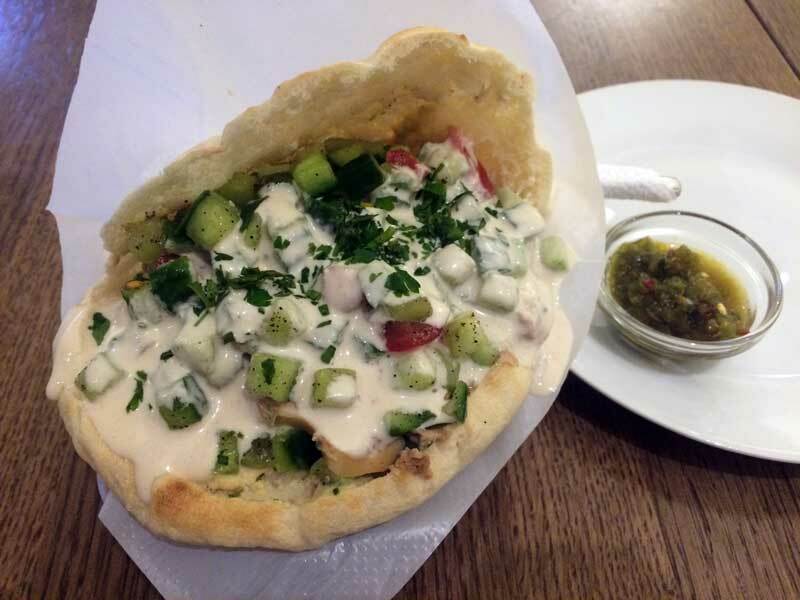 Ball it up in a triangle, dip it chutney, and scoop it into your mouth. Indians normally start right in the heart of the dosa, and often bathe the thing in chutneys. They're considered the perfect breakfast, dinner, or even midday snack, depending on the size and contents. You'll never find one for lunch though. Lunch is for thalis and biryanis. 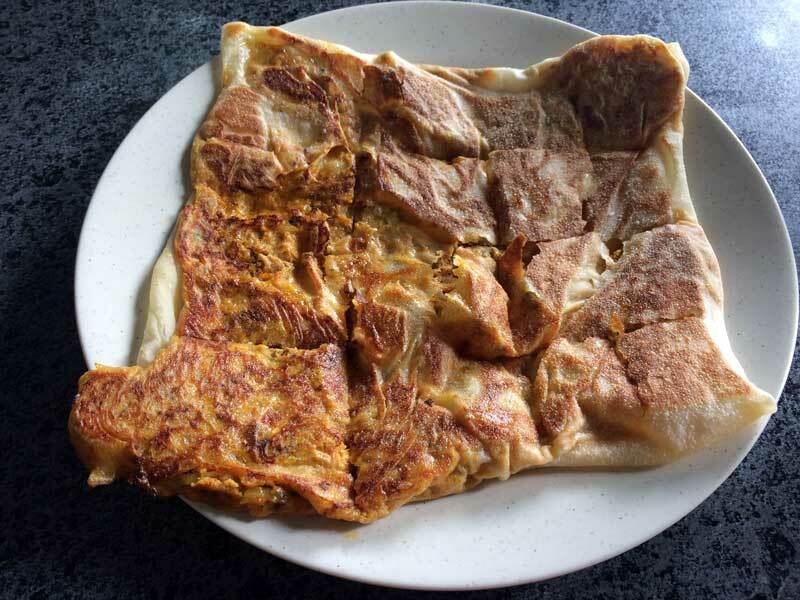 There are dozens of different kinds of dosas to choose from, ranging in size, contents, cooking method, and even the kind of flour used to prepare them. 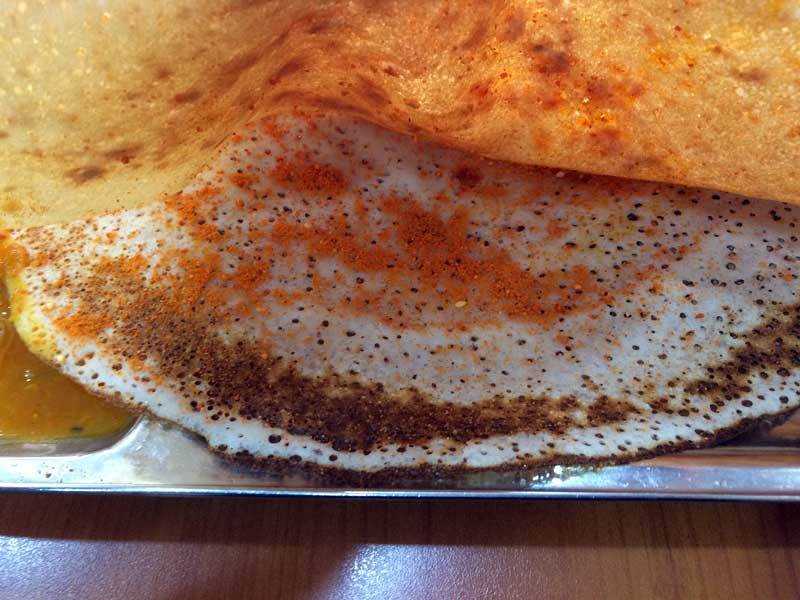 Here's a comprehensive list of the dosas you'll find in India. Ghee is unclarified butter, or in real terms, it's butter that has been heated and had the milk solids removed. It's smoother, tastier, and can be heated to much higher temperatures. Ghee is India's favourite oil. A ghee dosa can either be two things; a dosa that is cooked using ghee instead of rapeseed or palm oils, or it's a dosa that is smothered in ghee after being served. Either way it's a mindblowing improvement in flavour, but definitely not good for the waistline. An egg dosa is a quite simply a dosa that has had an egg cracked and scrambled on top of it while being cooked. It creates a fluffier dosa with an egg taste and a welcome addition of protein. This dosa has chopped fresh red onion thrown on top of the dosa while it's cooking. It's not enough to cook the onions, but it ensures they're inside when it's rolled or folded. Although quite messy to eat, as the onion likes to fall all over the place, this dosa is benefitted by the onion's sharp flavour and rough texture. 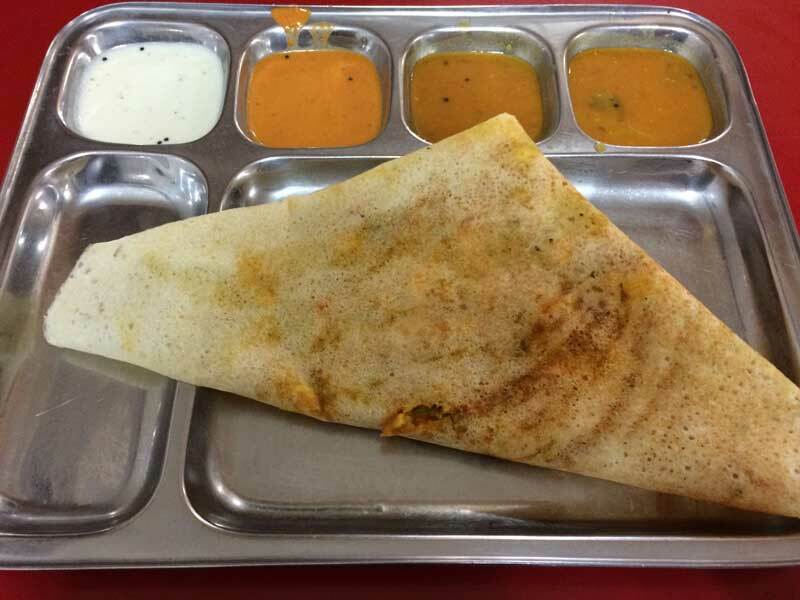 Masala dosa is the king of all dosas. It is the most common dosa, and serves as both a breakfast and dinner dosa. A masala dosa is filled with a generous amount of a potato and onion mix that has been heavily spiced giving it a nice yellow colour. Masala actually just means "spice." It's not spicy in terms of burn your mouth off, but it's very flavourful. A masala dosa is quite filling, and one big one fill probably keep you satisfied for breakfast or dinner. 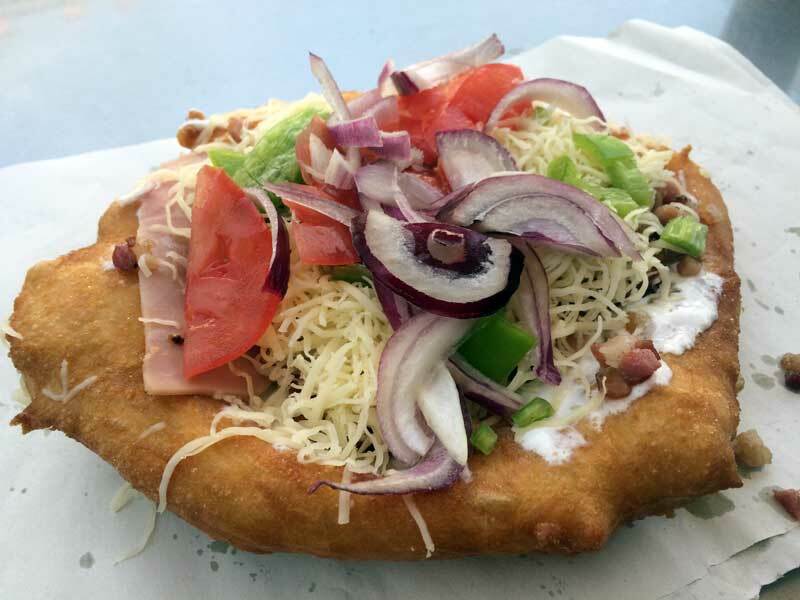 But Indians have big appetites and will often polish off a couple. Paneer is the only true cheese of India, a chunky, firm cottage cheese or feta type cheese that is made legendary in Indian curries like palak paneer and paneer butter masala. Here the paneer is chopped up into small pieces, mixed with cooked vegetables, and loaded with masala spice mix. I'd take a paneer dosa over a masala dosa any day of the week. A paper dosa is not so much a difference in ingredients, but in preparation. A paper dosa is spread incredibly thin on the pan, with lots of oil, creating a very crispy, airy dosa. Some like their dosas spongey, others like it crispy. It's a personal thing. A non-vegetarian dosa is incredibly hard to find, and I actually didn't really see one until I left India and went to Malaysia. It's a dosa filled with a chicken and vegetable mix containing the same beloved spice mix from the classic masala dosa. 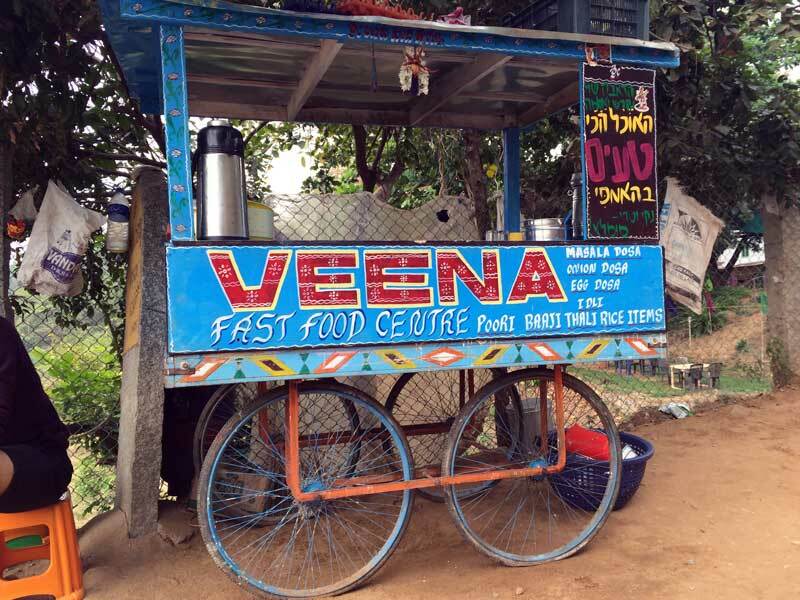 It's a great dosa if you are craving an infusion of protein. 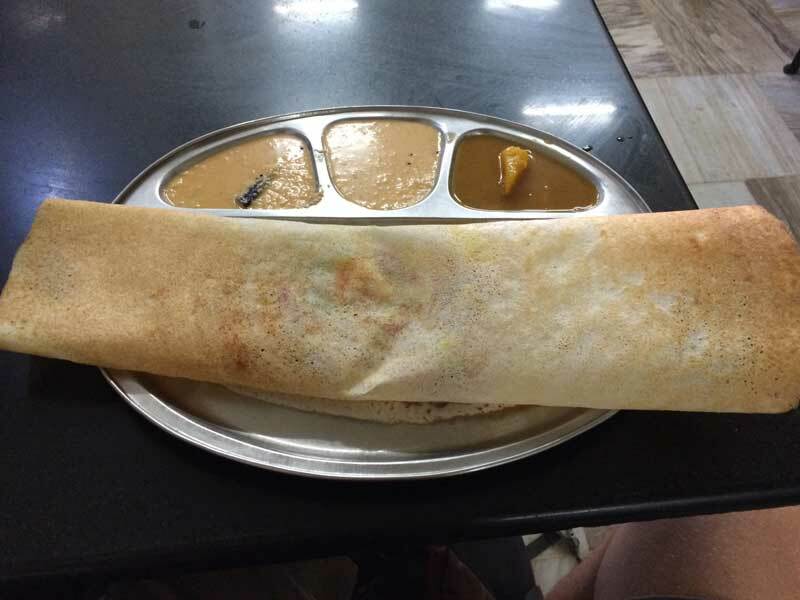 There are two kinds of Mysore Masala Dosas, the one you find in the city of Mysore, and those you find elsewhere in the country. The one found in Mysore (which remains the best dosa I have ever had), is smaller, topped with a wad of ghee, and is spiced differently than the traditional masala dosa, giving it a deep green colour instead of the normal yellow one. 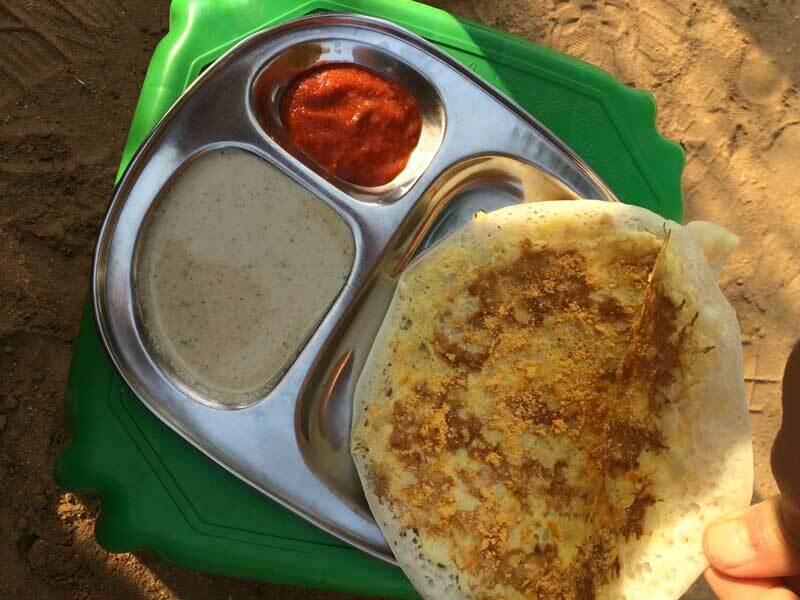 The Mysore Masala Dosa found everywhere else is a typical masala dosa with a big dollop of a red hot chili chutney spread onto the inside of the dosa. The dosa's menacing red tinge warns you of the impending flames about to come issuing from your mouth. Podi is a spice mix that is sprinkled into the inside of a plain dosa, lending it a nice aroma and kick. It's simple, but this was actually one of my favourite dosas that made me grunt and moan in pleasure. Luckily those are seen as nice, proper things to do in public in India. There are numerous variations of dosas that contain vegetables in different mixes, whether raw or fried up in a masala mix. The most common are a standard mix of raw carrot, onion, and peppers, which adds just a slight taste variation over an onion dosa and a mushroom dosa. The mushroom adds a nice meaty texture to the dosa. 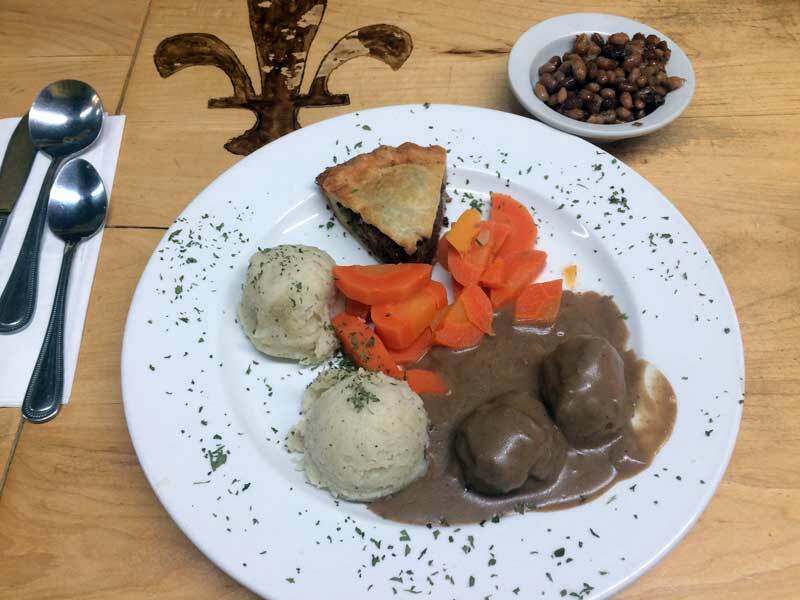 You can probably figure what this one is, and is definitely not a traditional meal. It's a dosa filled with a bunch of melted cheese, probably a block mozzarella like they would throw on a pizza. The only cheese native to India is paneer, so don't go expecting the best cheese in the world, but it will still be a gooey delight. This is the most common dosa variety that is made from a different flour than the traditional rice and lentil blend. Rava dosas, and its varieties, are made with semolina, which doesn't need to be fermented overnight. It has a lighter texture, more brown colour, and a slightly nuttier or wheatier flavour. Many Indians prefer these over the standard ones. 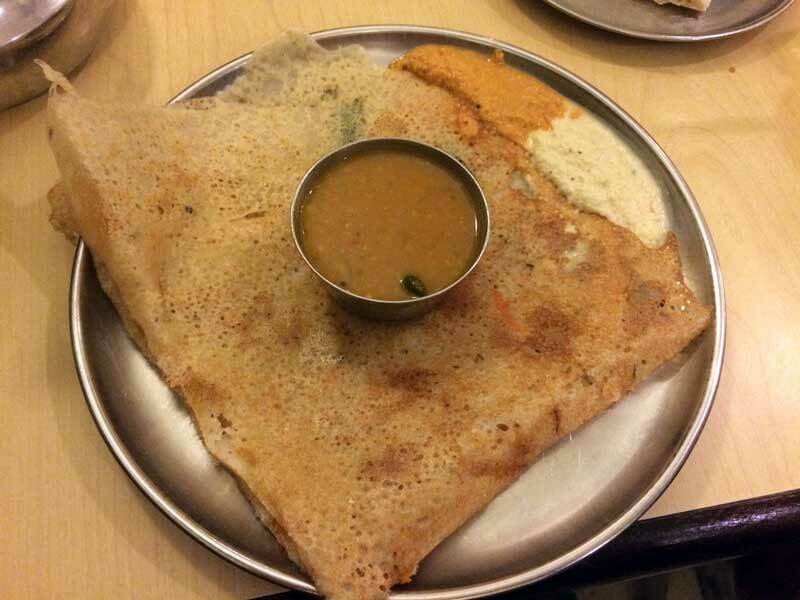 An atta, or atia, dosa is made from wheat flour, and again does not need to be fermented overnight. It's like having a chapati but prepared and eaten like a dosa. Again, nothing revolutionary. A spongier, thicker dosa cooked much smaller in diameter. Generally you'd have a couple of these as they are much smaller. 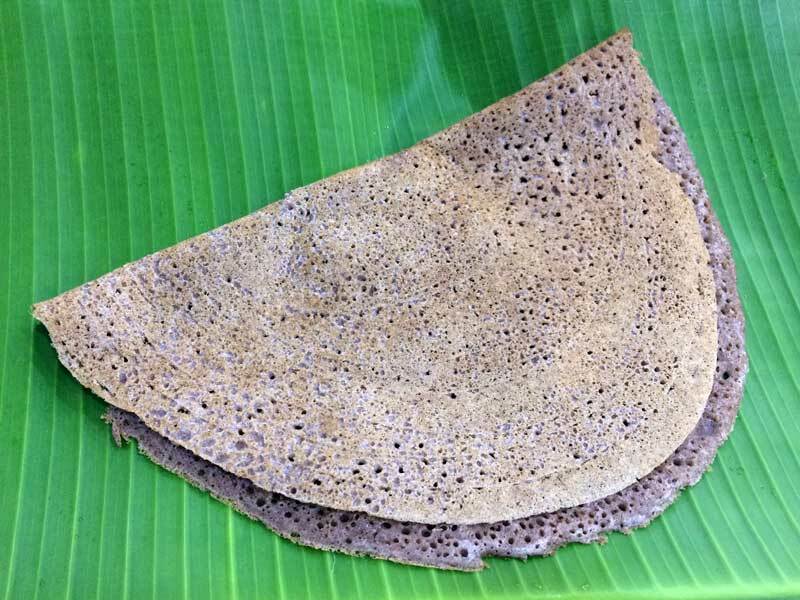 A ragi dosa is made from ragi flour, a different grain that gives it an almost dark grey-brown colour. It's nuttier and wheatier than a normal dosa, much like a rava or atta dosa. Honestly I liked it mostly for the visual aspect of it, as the taste and texture difference was not immense. So those are the most common dosas you'll find spread across India and Malaysia (where they're called tosai) in absurd quantities. 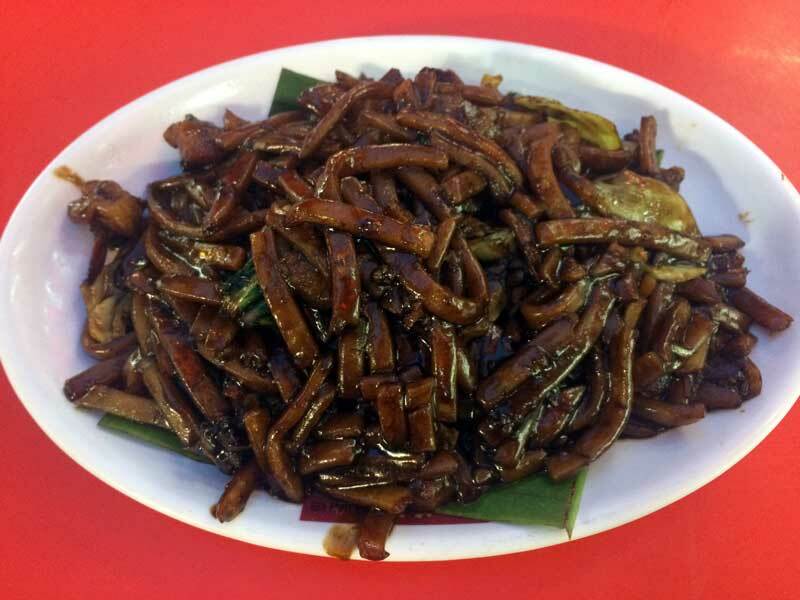 There are of course further variations on these, some adding crazy ingredients like chop suey, but these will keep you covered in well over 95% of Indian and Malaysian joints. Often they only offer the three or four most basic types as seen in the photo above, because variation is expensive. Classier, more expensive joints will have a lot more variation.